Stylish and sophisticated, this Polilife Blanc Solid Surface product created from a blend of high performance minerals and resins has a modern matte appearance yet is highly stain resistant. The Catto Above Counter 600 Basin is a beautiful oval bowl with modern flat edges, and combines with your choice of tall or wall mounted basin mixer to complete the look. 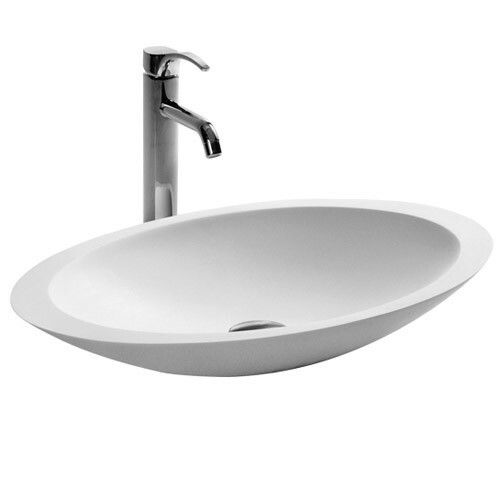 The Catto series of Solid Surface Basins features four styles and is available with 1 or 0 tapholes to accommodate your choice of tapware.